DH Law Ltd offers a broad range of legal services that you would expect to find on the high street with a number of specialist services you would not. We appreciate that obtaining legal advice can often be stressful or even daunting. Our friendly legal team have a wealth of knowledge to help you through and offer practical assistance to solve your problems in the most cost effective way. We understand that legal issues don’t always fit neatly between 9 am and 5 pm so just give us a call if you need to speak to us after hours. We currently have legal aid franchises in Mental Health, Community Care, Housing, Family and Employment Law. We also work with private clients, and offer a wide range of advice on civil matters. We also undertake a lot of work for the community. 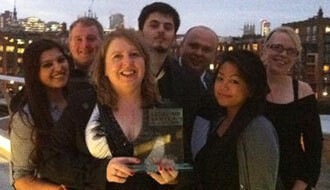 Our team of Hanwell solicitors is headed up by award winning Solicitor Rheian Davies. Rheian won a coveted Legal Aid Lawyer of the Year award in 2011 and was included in the ‘Super Lawyers’ list published in The Telegraph in March 2013. 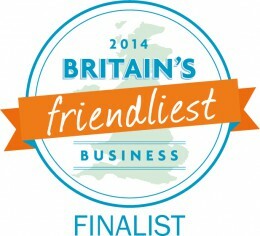 In 2014 we were the only law firm to be a finalist in Britain’s Friendliest Business. We are able to offer a one stop shop in the majority of cases – we can handle your case from the first day and if the case needs to proceed to court we can conduct our own advocacy – saving time and money. And, we have a very sweet dog.